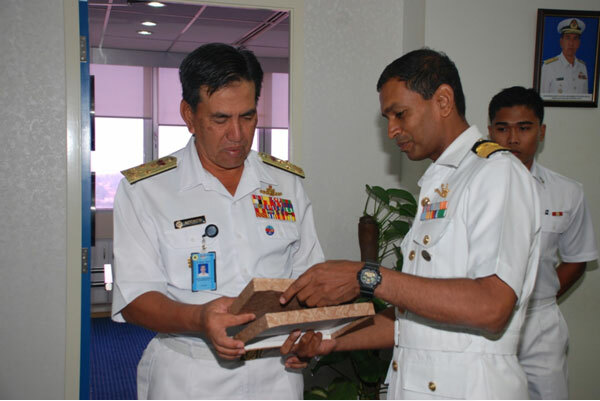 Vice Admiral Datuk Mohammed Noordin bin Ali RMN, Deputy Chief of Royal Malaysian Navy presenting memento to Rear Admiral P Murugesan, VSM, Fleet Officer Commanding, Eastern Fleet, Indian Navy on 21 June 2010 during official Call On. Rear Admiral P Murugesan, VSM, Fleet Officer Commanding, Eastern Fleet, Indian Navy calling on Vice Admiral Datuk Mohammed Noordin bin Ali RMN, Deputy Chief of Royal Malaysian Navy at Ministry of Defence, Malaysia on 21 June 2010. 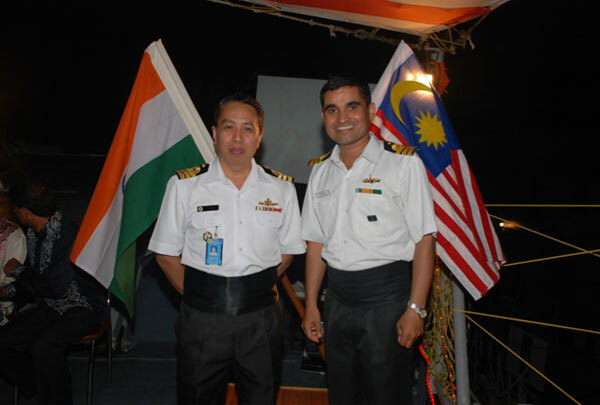 Young Naval Officers from Indian Navy and Royal Malaysian Navy posing in front of each others Countries National Flag Onboard Indian Naval Ship INS Ranjit during onboard reception at Port Klang on 22 June 2010. Rear Admiral P Murugesan, VSM, Fleet Officer Commanding, Eastern Fleet, Indian Navy presenting a memento to Admiral Maritime Datuk Mohd Amdan bin Kurish, DG, MMEA, Malaysia on 22 June 2010 during official Call On at MMEA Headquarters, Putrajaya. 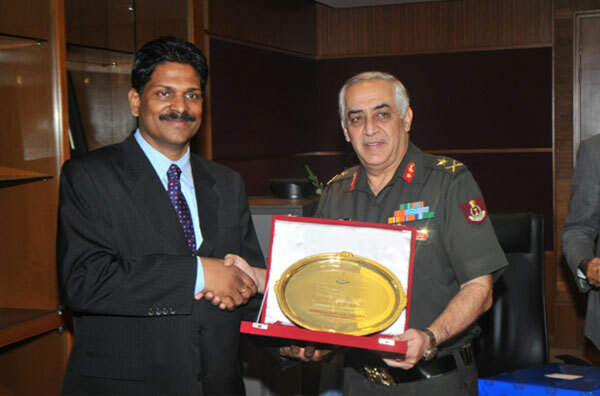 Major General Anil Malik, Head of Delegation of National Defence College Team presenting memento to Hon'ble Senator Kohilan Pillay, Deputy Foreign Minister during official Call On 21 Sep 2010 at Wisma Putra, Putrajaya. 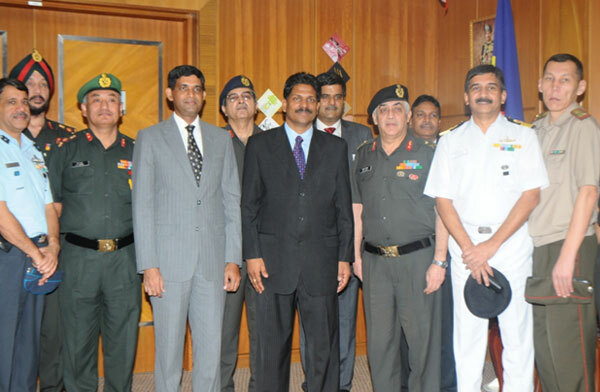 The National Defence College delegation with the Hon'ble Senator Kohilan Pillay, Deputy Foreign Minister at Wisma Putra, Putrajaya on 21 Sep 2010 during official Call On. Rear Admiral VS Batra, VSM, Commandant, College of Defence Management, Secunderabad, India calling on Lt Gen Datuk Raja Mohamed Affandi bin Raja Mohamed Noor, Chief of Staff, Malaysian Armed Forces HQ on 02 Nov 2010 at MINDEF during HDMC Course visit to Malaysia. Indian Army Weightlifting Team from Army Sports Institute, Pune participating in the 1st IWF Continental Clubs Grand Prix Championship at Penang in December 2010. The Team was awarded the Overall Championship for winning in maximum categories. 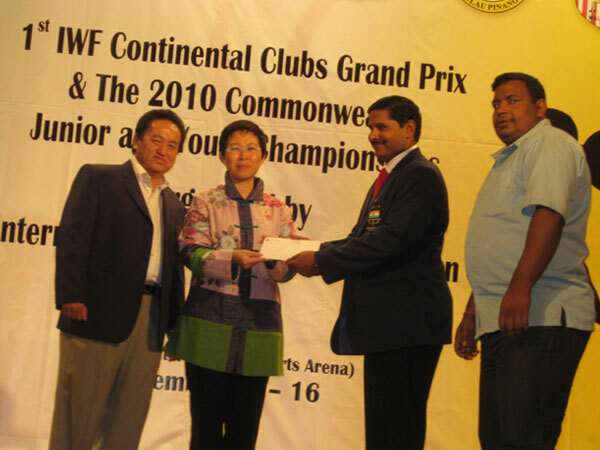 Captain S Srinivasa Rao, Officer Incharge Weighlifting, Army Sports Institute receiving the award of US $ 5000 for the first prize and Overall Championship Award at Equitorial Hotel Penang in Dec 2010.